Anthony Bebbington is Australia Laureate Fellow and Professor in the School of Geography at the University of Melbourne, Australia, and Milton P. and Alice C. Higgins Professor of Environment and Society in the Graduate School of Geography at Clark University (on leave). Tony’s work addresses the political ecology of rural change, with a particular focus on extractive industries and socio-environmental conflicts, social movements, indigenous organisations and livelihoods. 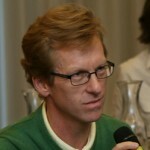 He is lead researcher on ESID’s politics of natural resources and inclusive development project. Bebbington, A., Abdulai, A.’-G., Bebbington, D. H., Hinfelaar, M. and Sanborn, C. (2018). Governing Extractive Industries: Politics, Histories, Ideas, Oxford University Press. Bebbington, A. with Abdulai, A.-G., Hinfelaar, M., Humphreys Bebbington, D. and Sanborn, C. (2017). ‘Political settlements and the governance of extractive industry: A comparative analysis of the longue durée in Africa and Latin America‘. ESID Working Paper No. 81. Manchester. Bebbington, A., Arond, E. and J. L. Dammert (2016). ‘Scalar politics and transnational governance innovations: A political settlements lens on the Extractive Industries Transparency Initiative in the Andes‘, ESID Working Paper No. 66. Manchester. Bebbington, A. (2015). ‘Natural resource extraction and the possibilities of inclusive development: politics across space and time‘, ESID Working Paper No. 21. Manchester. Bebbington, A., Humphreys Bebbington, D. (2018). ‘Mining, movements and sustainable development: Concepts for a framework‘. Sustainable Development 26(5). Bebbington, A., Arond, E. and J. Dammert (2016). ‘Explaining diverse national responses to the Extractive Industries Transparency Initiative in the Andes: What sort of politics matters?‘ The Extractive Industries and Society, 4(4): 833-841. Bebbington, A. (2015) ‘Governing natural resources for inclusive development’, in S. Hickey, K. Sen and B. Bukenya (eds.) (2015), The Politics of Inclusive Development: Interrogating the Evidence. Pp. 86-115. Oxford: Oxford University Press. Bebbington, A., Bury, J., Cuba, N. and Rogan, J. (2015). ‘Mining, risk and climate resilience in the “other” Pacific: Latin American lessons for the South Pacific’, Asia Pacific Viewpoint 56(2): 189-207. For more on Professor Bebbington’s research, visit his website.